Tangata Whenua travelled by foot and waka. They also played a vital role guiding the settlers to different districts over tracks they had identified. It was not long before surveyors were employed as the country was colonised, and land ownership became a priority for the new arrivals. In Caroline Phillips' Waihou Journeys, the archaeology of 400 years of Maori settlements on the lower Waihou River is explored in depth. It includes an interesting table (page 81) that summarises the European visitors and residents 1769 to 1850. Visitors famous and not so famous who came to the settlements that were scattered along the river. Captain Cook via the Endeavour in 1769; the Fancy 1794, the Hunter 1798 and 1799, the El Plumier and Royal Admiral in 1801 and Samuel Marsden on the Coromandel in 1820. The names of traders, settlers and others are given along with the purpose of their visit and the length of stay. When the Admiral visited in 1801 they spent eight weeks in the Firth of Thames - during this time James Wilson produced a chart of the area. This and other early sketch charts / maps, were the forerunner to more detailed survey maps, that marked tracks and landmarks and in turn greatly aided movement around the district. A variety of reports and advertisements in the newspapers provide an insight into the methods of transport and the ease of getting around the greater Thames area. 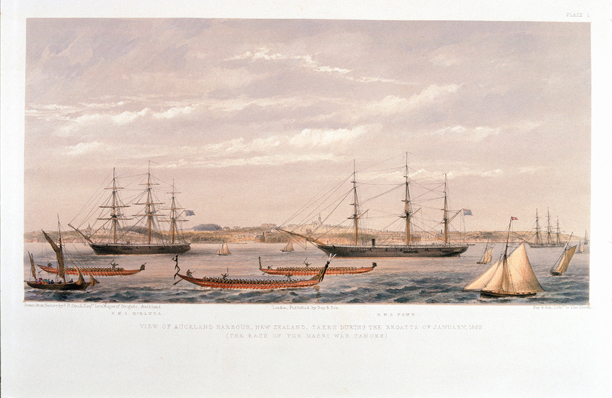 Boats were sailing around New Zealand with passengers and cargo pre 1850. For instance in November 1849, Mr Nicholas went from the River Thames to Auckland aboard the Alexander. A few of the other early commercial ships mentioned were: the Bon Accord, Charles, Forager, Mary and Piako Lass. 1850s: Land travel was possible over a limited number of 'tracks' but still required forcing through thick bush at times, and was best done with locals as guides. 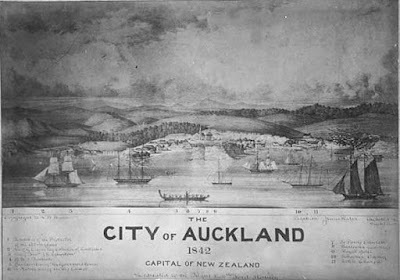 The Plains and River Thames was crossed on a trek from Auckland to Tauranga. Local Iwi travelled around the country as required, in 1863 more than 300 Thames Maori were reported to have travelled to Wairoa, during the unsettled years of the 'Land Wars.' By foot and / or by waka, distance was not a problem. During the Land Wars, soldiers also travelled by boat around the Firth of Thames. So far horses have not been mentioned, but they were around the greater Thames Valley, particularly at the large estates that were owned by men such as Mr McCaskill (he had settled at Hikutaia in 1839). Mr MCCASKILL's Estate was being sold with one horse. To conclude, early transport involved walking, use of waka / canoes and private boats; and an increasing numbers of commercial boats. Horses were mainly used on farms, and increasingly in the sport of racing! Coming next: Transport to / on the Goldfield post 1867.